Home » Local Business Blog » How Does Cash For Cars Work? This post was written with the expertise of Fast Buy Cash For Cars, a company that provides Cash For Cars in Hollywood, FL. Automobiles dominate our life - with 263 million registered vehicles in the United States alone! 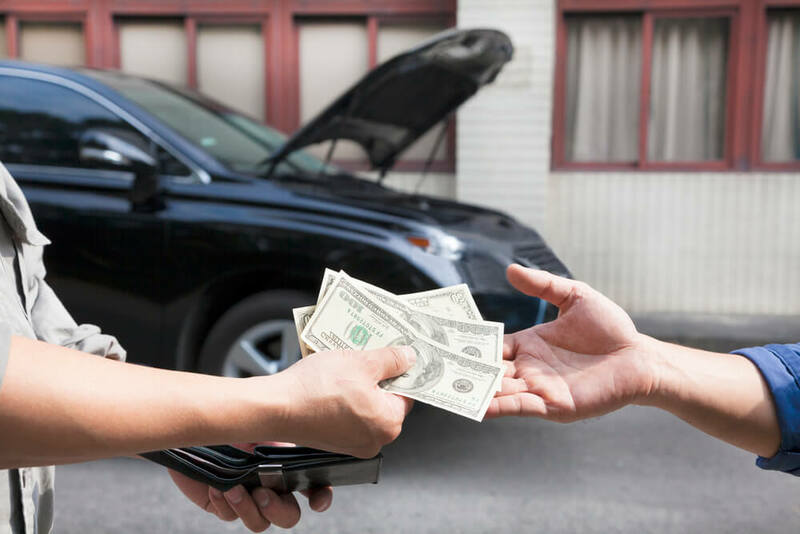 There are plenty of junkyards that offer cash directly for these vehicles, but before you go to turn in your vehicle there are a few things you should know. Cash for cars is a program or business model predicated on buying your car straight out regardless of the make, model, or condition. Often these places are junkyards and make money either selling the parts individually or scrapping the whole car. Why should I sell it to a junkyard? There are a couple reasons why you might want to sell your car to a junkyard - first is that the car is absolute junk, with no hope of fixing it. The second is that you might not need a car anymore and unable to find a private seller. How do I know if I’m getting ripped off? To get peace of mind you can look up the Kelley Blue Book of your car to get an idea of how much it fetches on the market. From there you need to write a list of any observations you can make on your car that the cash for cars business might want to know. What should I look out for on my car? Ask yourself if the car can be driven and if it can how well. From there write down the problems with it, including any cosmetic damage. Make sure to also take a look at potential valuable parts of your car such as the GPS or tires. Is there any other way to make sure I’m getting the most money out of my car? After you’ve collected all the necessary data go ahead and call of few places in your area to get quotes to compare. Write down all the different amounts, and be mindful of what services they offer and if they’ll give you more money for getting the car there yourself. What if I can’t drive my car to the junkyard? Ideally, you want to drive there, as drivable car typically fetches a better price. If this is impossible you can call the junkyard and ask if they have a pickup service, or if you are comfortable enough you can tow the automobile there yourself. Okay, I’m going to try to tow my own car - what should I know? Renting a tow truck is the easiest way, but you can use another truck. You’re going to want to purchase the proper towing strap and attach it to the front of the junked vehicle and the back of the truck. You also need to make sure the junked car can be put in neutral and has brakes. Alrighty, I’m ready to start towing! Make sure you have the hand signals down for both sets of drivers. Whoever is being towed needs to be extra vigilant that they are keeping the towing strap taught - the wrong tug too many times can break the strap. Turn on your hazards and take it slow as there is no need to hurry. Make sure you have the title to your car as most cash for car places won’t accept your vehicle unless you can show it is yours to sell. If you can’t locate your title there is DMV.org, which has a dedicated page to help you get it back. What happens to my car after it is sold? If it can’t be resold as is, a junkyard will meticulously strip and recycle everything they can off your old automobile.This entire recycling process is interesting - often times with junkers pulling off any good parts to resell them, and crushing up the rest. What about my license plate? Make sure to keep your license plate, as it is registered with you and not the car. If you are getting a new car you can transfer it to that one, if not go to your local DMV office and turn it in there. Make sure to check your state for any special requirements. Is there a way to get more money out of my car? Yes - if you are handy and willing to put in a little time. Chances are even if the car is undrivable you still have some good parts on it. By removing these parts and selling them separately, you’ll get plenty more out of it than just selling the whole car straight out.